The final full day in India had come all too quickly but everyone was very eager to make the most of it. The day was started off with the usual New Woodlands breakfast with the more adventurous of us having a traditional Indian breakfast while the rest of us stuck to cornflakes and toast. Professor Manivannan had arranged a lecture from Commodore RS Vasan, the former commander in chief of the eastern command of the coastguard, on Maritime security. We learned all about the issues that were occurring in the seas surrounding India and the importance of shipping channels not only to India but the world. After this the professor had yet again organised another exciting outing for us, this time to the British council so we headed back to the hotel to freshen and smarten ourselves up for this exciting experience. 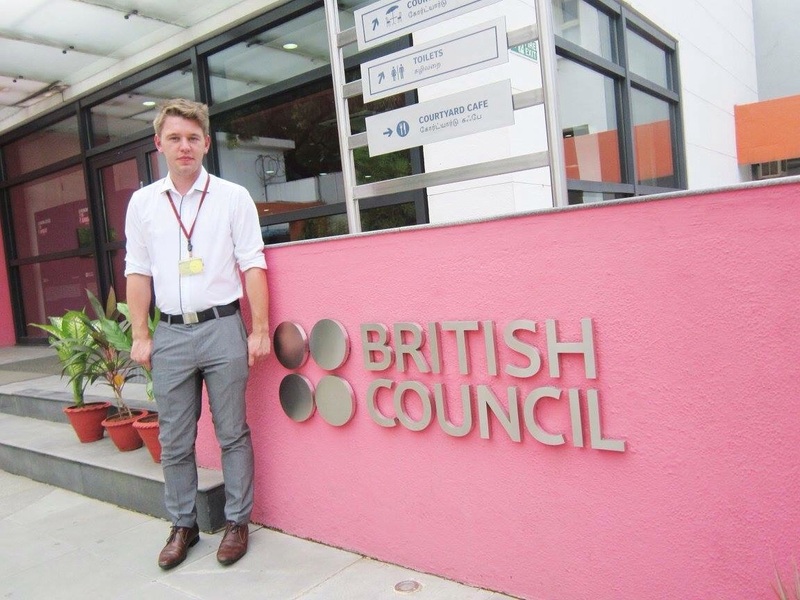 Whilst at the British council we heard a couple of talks from various organisations that were aiming to make links between India and the UK. But I think everyone would agree that the best talk of the day by far was by our own member of the group Josh. He summarised all that had happened on the trip so far and reflected upon what the lectures and cultural experiences had taught us. 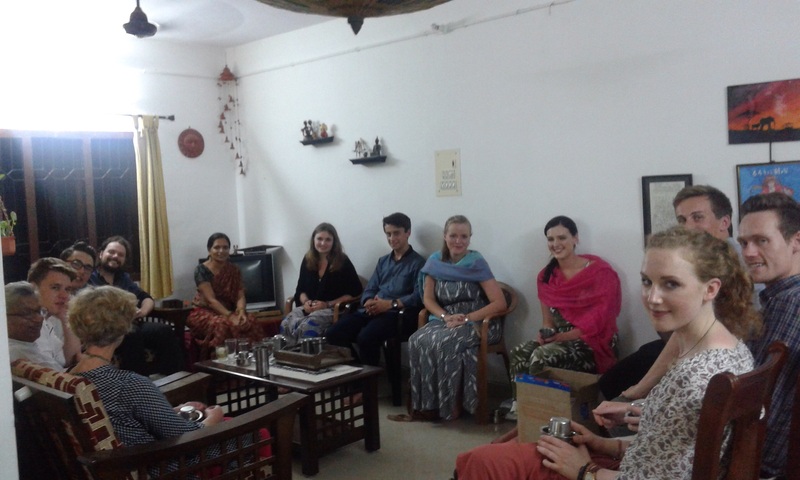 Josh explained how we had all become friends not only within our group from the University of Edinburgh but also with the volunteers from the University of Madras. No one was expecting Josh’s speech to be so touching, it even had some of the girls in tears. After our surprisingly emotional time at the British council we were taken for some shopping where we put our bartering skills to the test. We purchased many souvenirs and gifts with most of us trying to use up our remaining rupees. Next we were told that we were going for our final meal but we were all very surprised when we were taken by the minibus to an area of houses. Once we had alighted from the bus we saw professor Manivannan and he informed us that we would be having our intimate farewell meal in his apartment. We entered his beautiful home to find his wife had made us a traditional Indian meal consisting of different types of rice. We chatted with the professor and his family. It was interesting talking to the professor’s 17 year old daughter and finding out her experience of the Indian schooling system. We had so far only talked to young children or working adults in our cultural visits so it was very different talking to someone that was a similar age to us and finding out her experiences of her country. Once we had finished eating we were taken to the roof of the professor’s apartment where we watched some fireworks in the distance. This was the perfect way to end our last night, talking between friends and reflecting on all that we had experienced during the previous two weeks in Tamil Nadu.